When in LA you must visit Hollywood right? We woke up early to drive down to the Sunset Strip and then up to the Hollywood Hills in search for the famous sign. 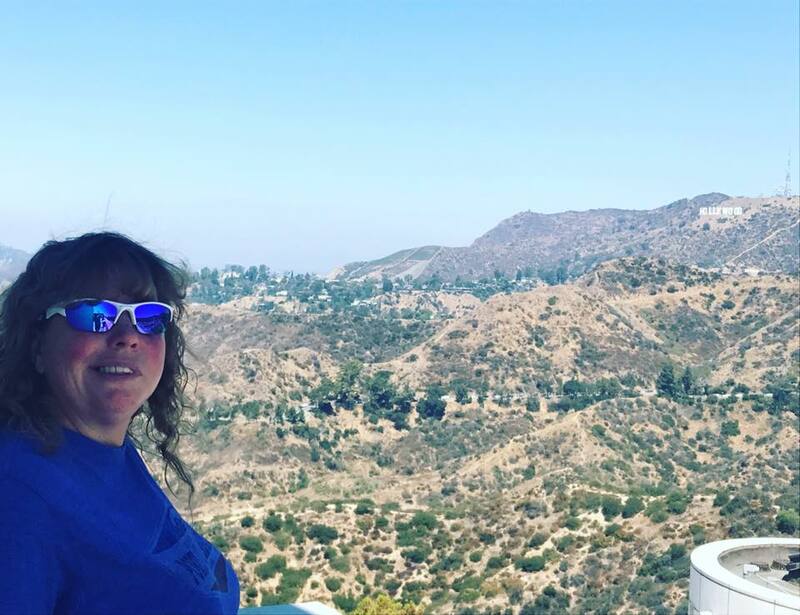 We meandered through the park that leads up to the Griffith Observatory and we spent an hour looking for parking. We finally managed to squeeze into a tight spot and made our way inside. It was a cool place but my favorite feature was actually outside. They had the planets on the sidewalk in concentric rings that showed just how far they would be in scale to each other. The sun was right where the building was located and Pluto was about 400 yards away. 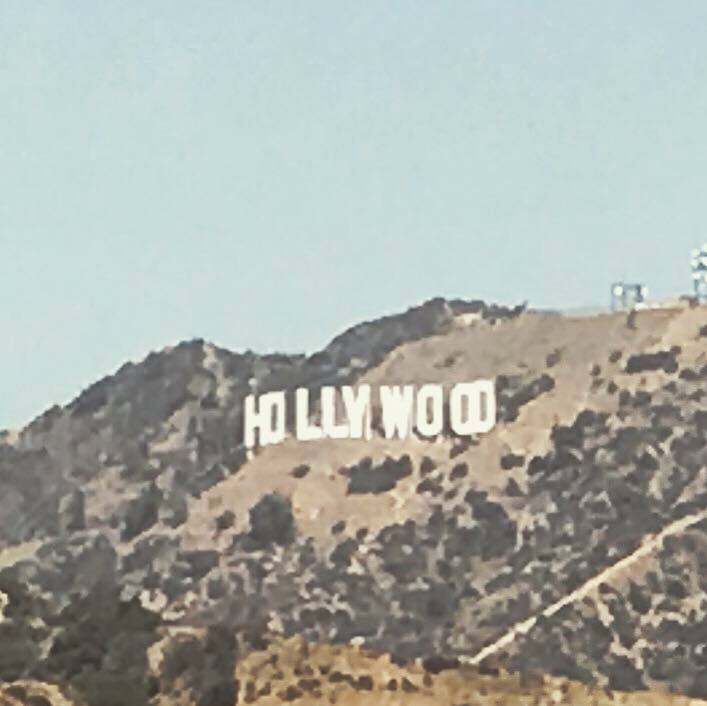 We snapped a couple far-away pictures of the Hollywood sign and jumped back in the car for a treat that would become a highlight of the trip. 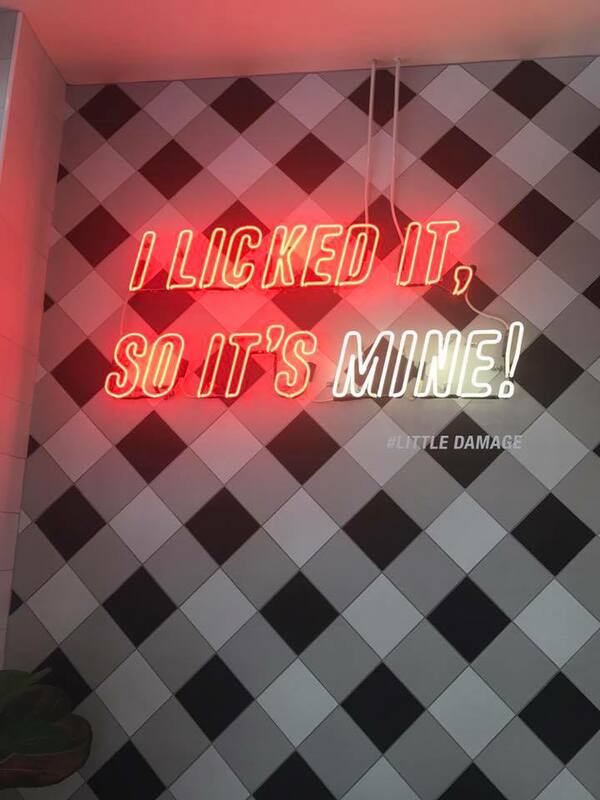 It was black ice cream from a little place called Little Damage. 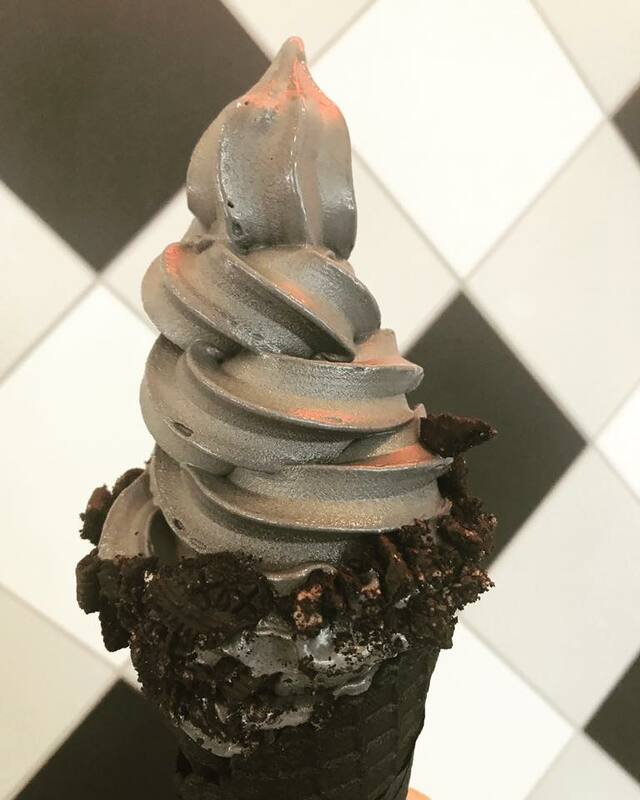 We saw it on Instagram, where else, and just had to go. There was a line around the corner outside. We made our way inside and each got a cone. 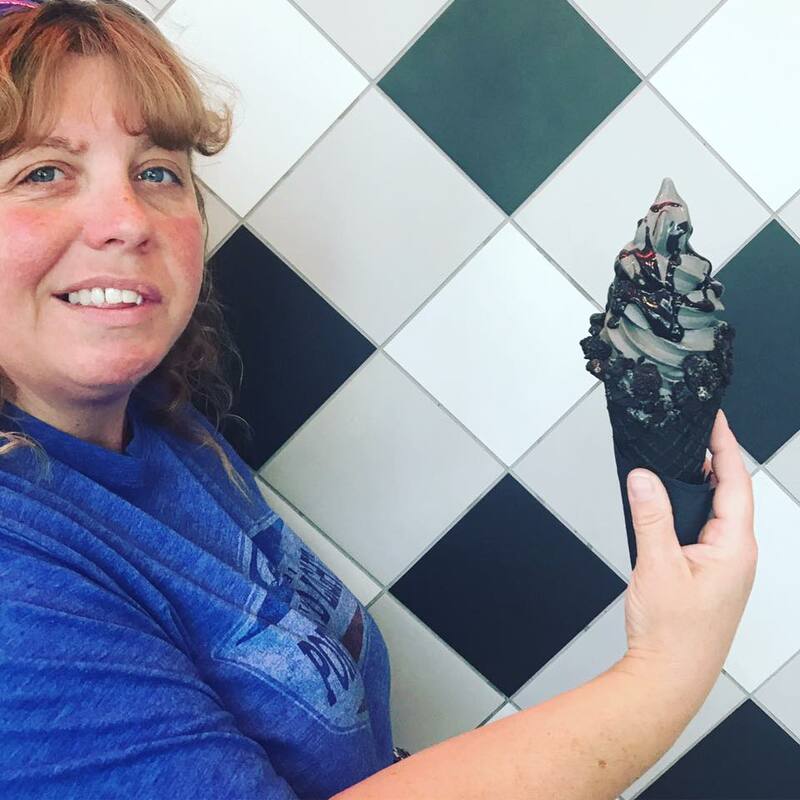 Just as advertised it was black soft serve ice cream in a black waffle cone. While it didn’t taste any different than a plain, well, vanilla one it was a cool treat. As we made our way back to the car we noticed that we were walking along the famous Walk of Fame. You know, the stars with the names on them. It was not impressive at all. In fact it was dingy and dirty on a street far removed from what most would think of as Hollywood. There were plenty of homeless laying amongst the stars too. We did get to see a bunch of trucks with cameras and stuff setting up to film a scene for a movie. No real “stars” in the area that we could see. 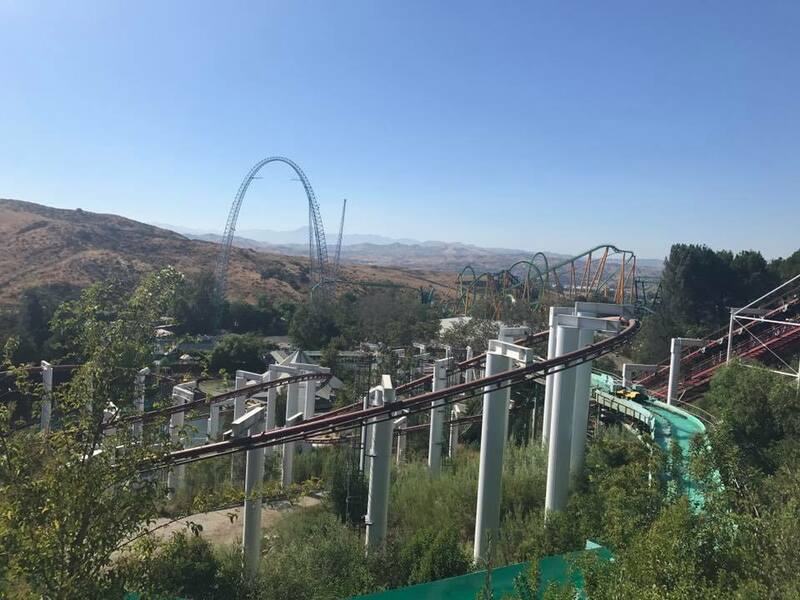 The next morning we woke up early and drove down the street from our hotel to go to Six Flags Magic Mountain. Another hot and crowded day and we spent way too long waiting in line for a couple Flash Passes. They kept running out of the little pager-like things and when the attendants would walk away and come back we would lose our place in line. By the time we handed over a couple hundred bucks I was beyond frustrated and just wanted to get inside the park and ride some coasters. 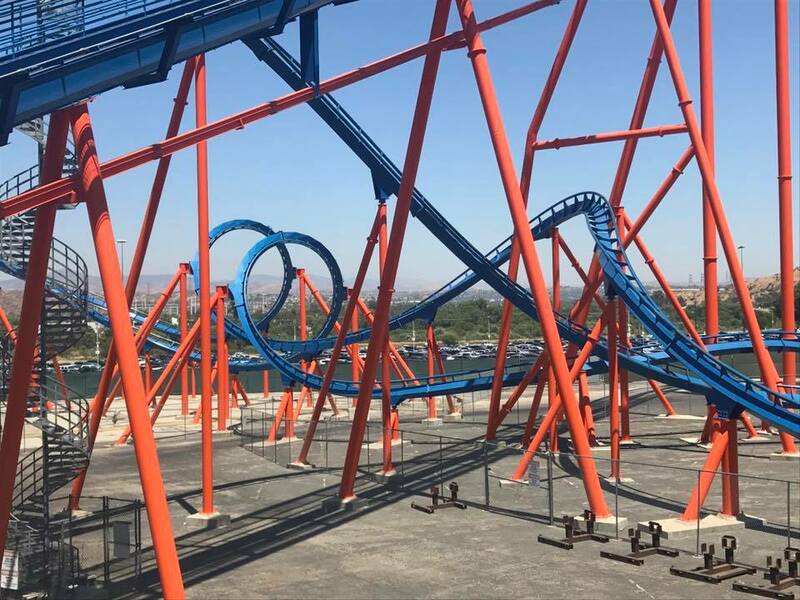 There are A LOT of coasters at Magic Mountain. 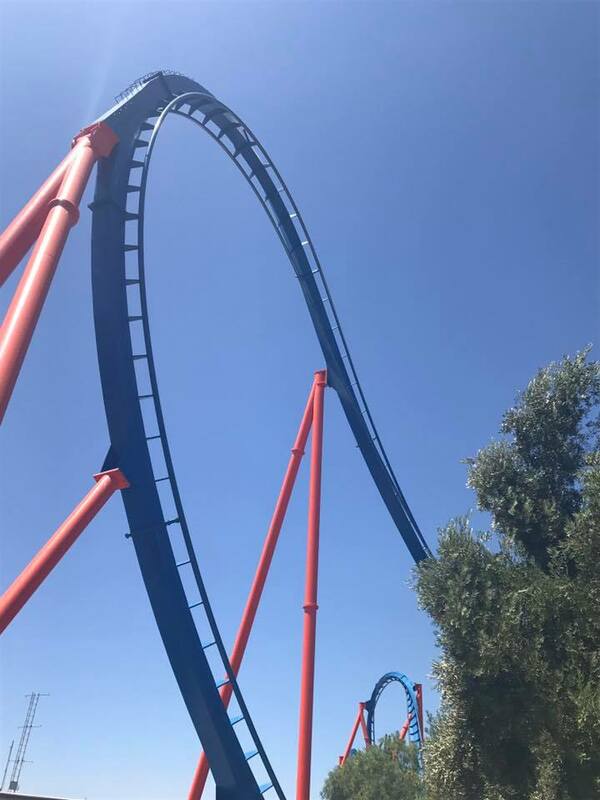 The first coaster we jumped in line for was Ninja that closed down while we were in the seats! 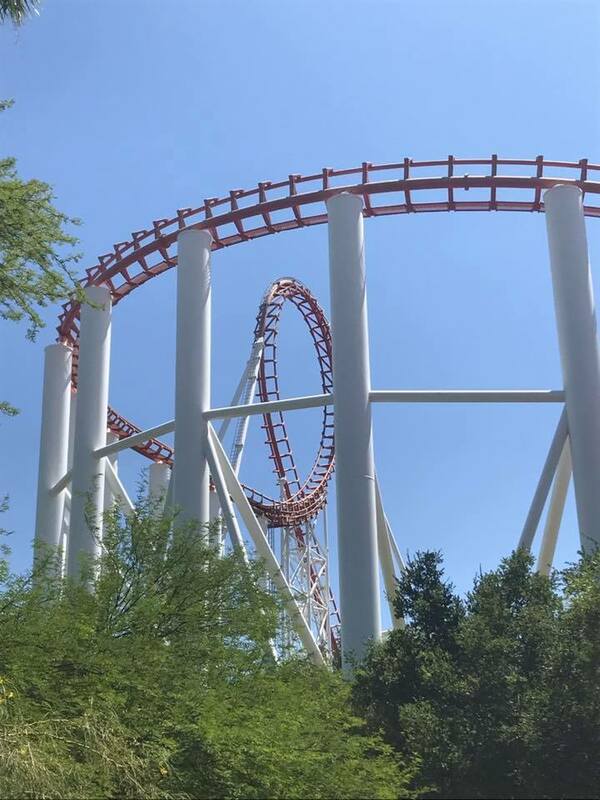 We would end up riding it later in the day. Next up was a woodie, Apocalypse and then Gold Rider and a stand-up, Riddler’s Revenge. I don’t know why I subject myself to the stand up coasters. They always leave me walkin’ funny if you know what I mean. We went into the air conditioning to ride the 4D Justice League ride. 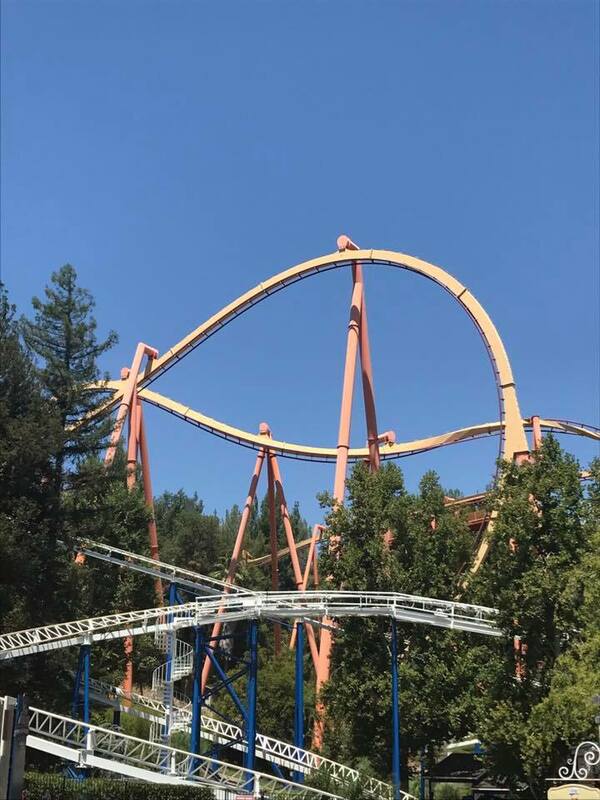 Its not really a coaster but more like a video game. I really like them, Michele not so much. 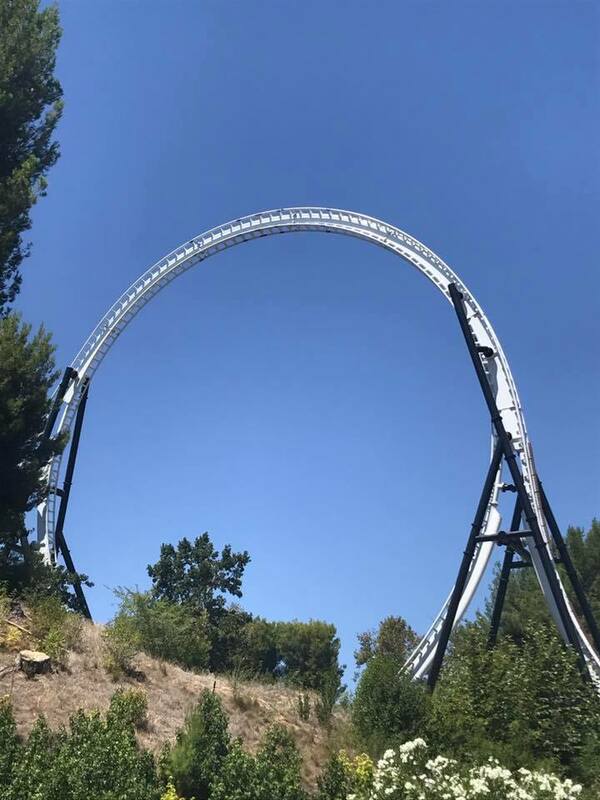 It was cool to have a backlot tour of the one in Six Flags over Georgia earlier in the summer to see how they work, when I was at the coaster convention. 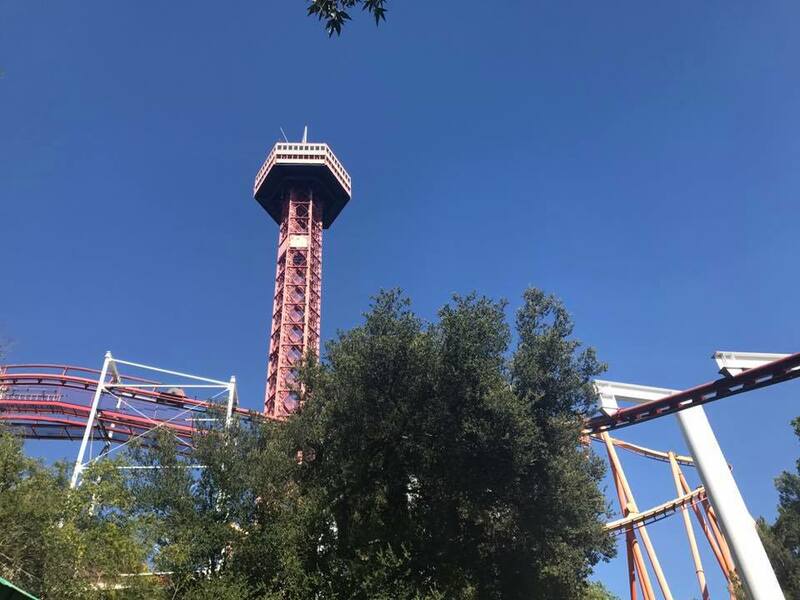 Throughout the day we rode coaster after coaster. 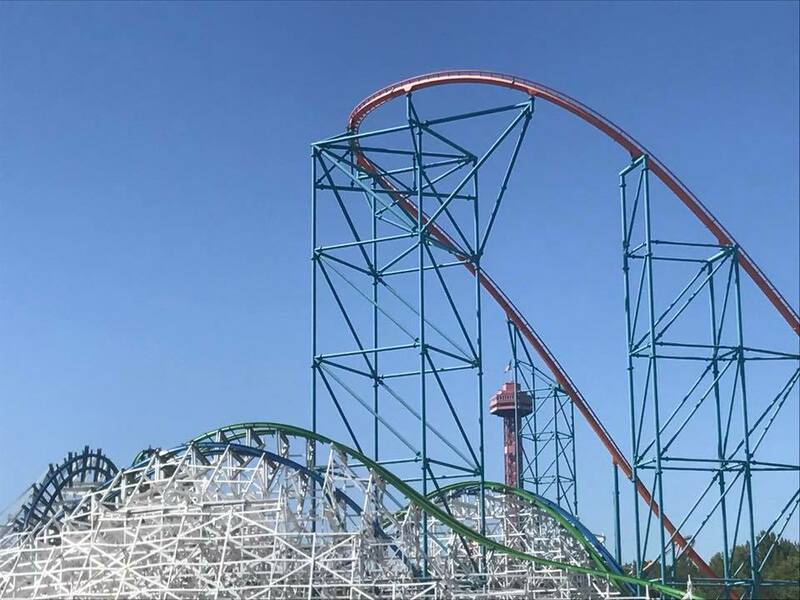 We rode, Full Throttle, X2, Green Lantern, Goliath, Batman, Scream, Viper and Gold Rusher and one coaster that would become one of my favorites in the country, Twisted Colossus. Michele had been waiting to ride this her whole life, way back when it was still Colossus when she was a kid. 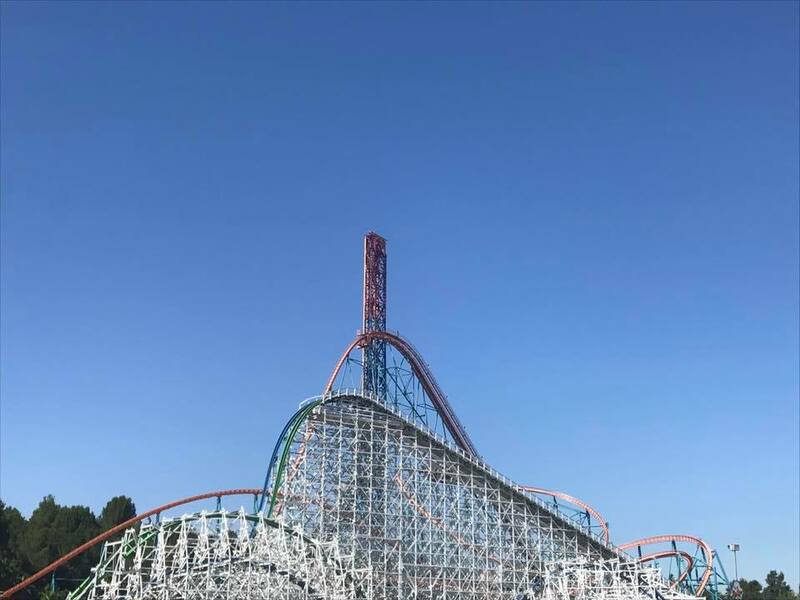 Wood meets steel as the iconic woodie returns as the new Twisted Colossus — the longest, most innovative hybrid coaster in the world. 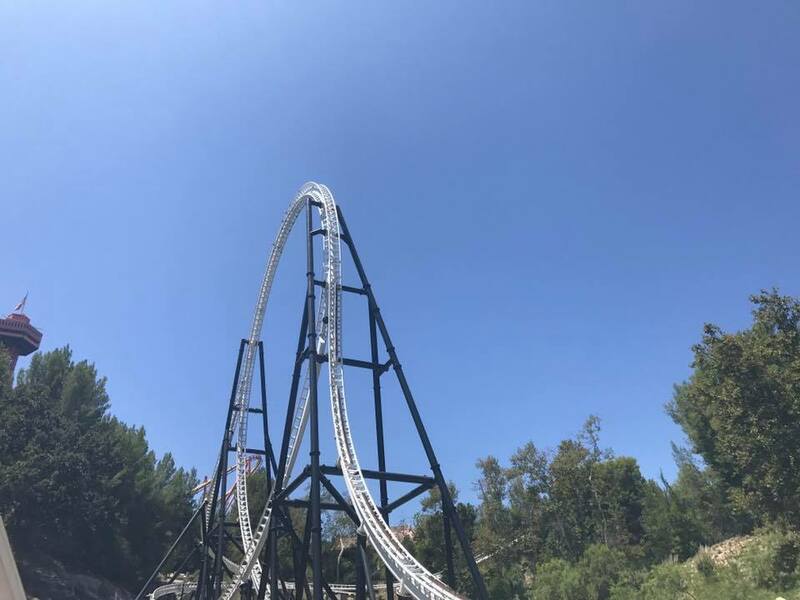 Still in its landmark location along the perimeter of Six Flags Magic Mountain and nestled inside the tracks of the behemoth coaster, Goliath, Twisted Colossus remains the coaster monument most recognizable to millions of people who pass by the park each year…but now with an exciting twist. Integrated into the beautiful crosshatching of white wood will be intertwined track, steep banks and unrelenting rolls and spirals. 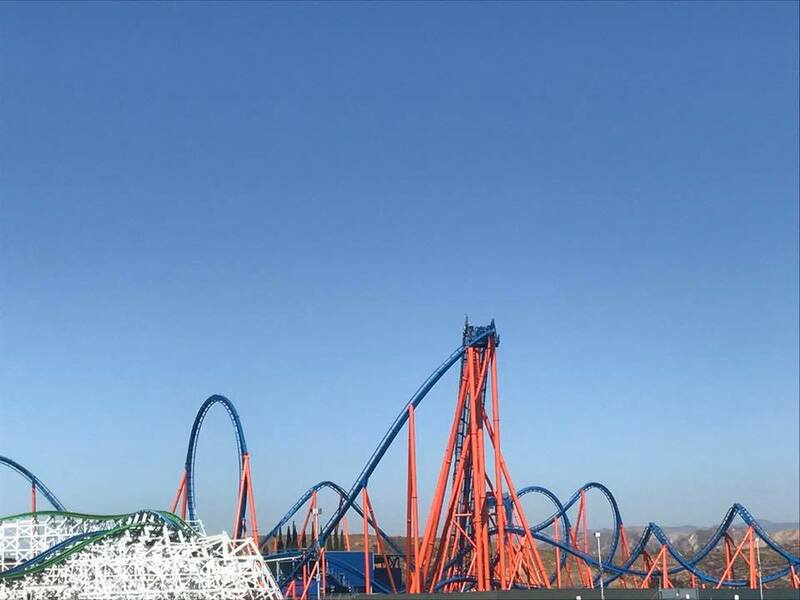 Revel in the fun and excitement of traditional wooden coaster thrills while facing your fears on the latest state-of-the-art coaster technology. 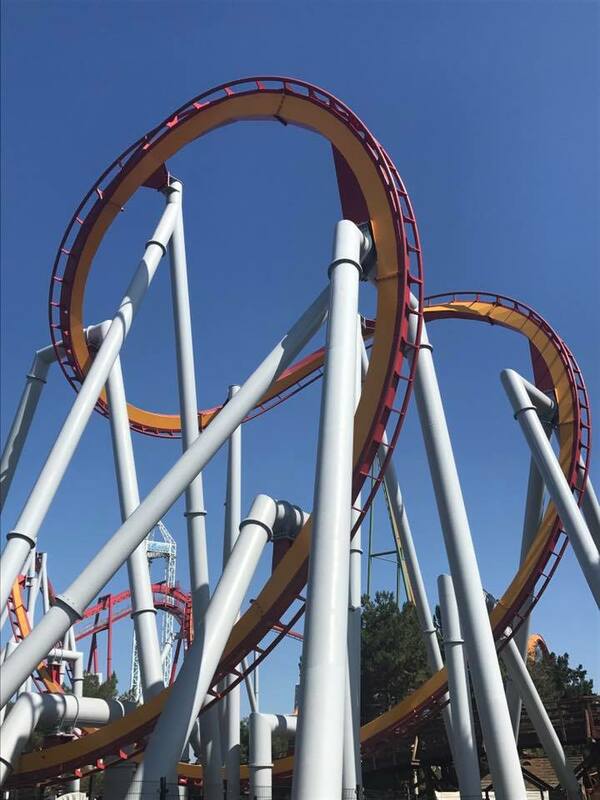 Twisted Colossus is the best of both worlds, a modern marvel making roller coaster history! Of course we rode the log flume and carousel like we always do and were out of the park relatively early but had one heck of a time trying to find the car. In fact, Michele and I got separated looking and when I finally found the car I spent another 20 minutes looking for her! She went on a date somewhere with Bugs Bunny! We had dinner plans later in the evening with a good friend of mine, Alex, who is my co-host on Mushing Radio. He suggested we go to this little Cuban place in his neck of the woods. I had a Cuban sandwich, of course. It was delicious! We sat for a long time talking and catching up before heading to the airport to catch a red-eye flight to Seattle. Will we ever get a good night’s rest on this trip?